ACCCRN champion, Prof Luu Duc Cuong, strives to build government capacity for climate change issues. He aims to inform: ‘Policy interest begins with evidence’. Find out how he decided to work on climate change resilience. Sunandan Tiwari says the urban climate resilience challenge is mainly about changing mindsets. 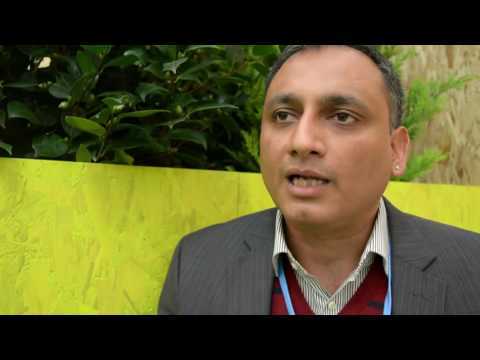 Find out why ACCCRN Champion, Sunandan Tiwari, Deputy Director at ICLEI South Asia, prioritises capacity building to achieve urban climate resilience. Sunandan went on to study for a Master’s degree in Ecology from Salim Ali School of Ecology at Pondicherry University. He has applied his knowledge of ecology and development to a wide range of sectors including, water resource management, sanitation, forestry, renewable energy, environmental services and of course, climate change adaptation. Sumbawa Besar is the capital of the Indonesian island of Sumbawa. The word “besar” means ‘capital’ but also forms the basis for the island’s slogan: “Bersih, Elok, Sehat, Aman dan, Rapi” or “clean, beautiful, healthy, safe, and proper”. When Elly Tartati Ratni, speaks of her home town, it is clear that this five-word description is apt. Elly recalls the coastal town as a beautiful to grow up in. She speaks of her childhood there with great fondness, especially her years as a girl scout. As the first ever World Humanitarian Summit drew to a close yesterday, in Istanbul, Turkey, we asked some experts at the ACCCRN Learning Forum what humanitarian response could learn from concepts of resilience. Page generated in 1.68 seconds.